Dr. Andy Novobilski (left), UNG's associate provost for research and engagement and chief research officer, talks with conference participants before the event's keynote address. Regent Philip Wilheit of the University System of Georgia (USG) praised the work being done across the state by more than 50 representatives from some 20 Georgia institutions of higher education who participated in the recent Georgia Council of Graduate School (GCGS) conference at the University of North Georgia (UNG). Regent Philip Wilheit (right) talks with conference participants. "You are a critical component of what the USG Board of Regents is trying to achieve," Wilheit said during the conference keynote address. "Our objective is to be good stewards by continuing to invest in our students. We are reshaping public education to become more student-centered, to include Complete College Georgia initiatives, online learning, and Affordable Learning Georgia initiatives, such as e-textbooks." Since Complete College Georgia launched in 2011, the USG has exceeded the initiative's goal each year by an average of 4 percent. Since 2009, the number of USG online courses has increased from approximately 1,500 to more than 5,000. E-textbook initiatives are projected to save USG students $9 million per year. The theme for the GCGS conference, held April 23-24 at UNG's Dahlonega Campus, was "Advancing Graduate Education in Georgia," and presenters and guests discussed how to grow graduate programs and support graduate students. "UNG is committed to graduate education, and we are pleased to have the opportunity to examine the needs for our region and develop ways to meet those needs," said Dr. Patricia L. Donat, provost and senior vice president for academic affairs. Presentations during the two-day conference ranged from a look at non-traditional graduate students to the impact of the Affordable Care Act, and how graduate student success can be enhanced through mentoring. "What makes effective supervisors great mentors?" asked Dr. Maureen Grasso, former GCGS president and dean of North Carolina State University's Graduate School. "They always have the student's best interest at heart. Our mission should be to build communities that nurture a culture of effective supervisors and mentorship." Dr. Andy Novobilski, UNG's associate provost for research and engagement and chief research officer, discussed how to develop metrics for effective mentoring, and asked participants to create a mental checklist of what mentoring a graduate student in engaged scholarship might look like. "An important part of this relationship is balancing the needs of those involved," Novobilski said. "The student needs to graduate, the faculty member needs to earn promotion and tenure, and the institution needs to engage with the community. Our checklist needs to address how we can make the mentor/mentee relationship mutually beneficial as well as supportive of the institution." Jennifer Collins, graduate admissions manager for the Georgia Institute of Technology, said it was very useful to see how other institutions and their staff are adjusting to student populations such as non-traditional graduate students. 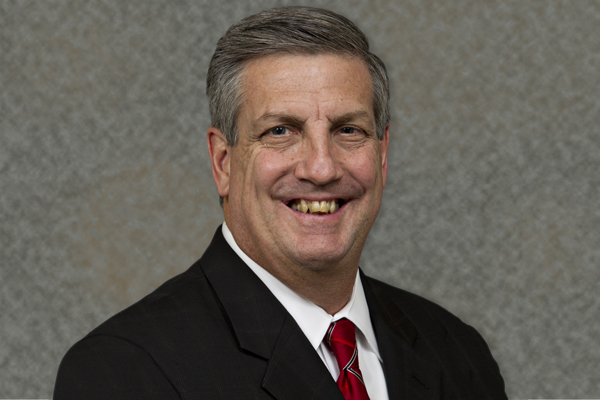 Dr. Eric Skipper, CEO of UNG's Oconee Campus, served as GCGS president in 2014-15, during which the number of GCGS member institutions increased from 15 to 22.